When you think of Robin Hood, do you think of a valiant archer who puts the needs of others before his own? Yes? Ok, now imagine that same Robin Hood who double-deals, is a money-grubber, and is "Hunted by men... Sought by WOMEN!" Unlike Robin Hood, Harry Lime, played by Orson Welles, will not hesitate to rob from the rich and give... to himself! Harry Lime, the character, started out as a minor character in Graham Greene's novel and successive film, The Third Man; his role was small but very important to the story. 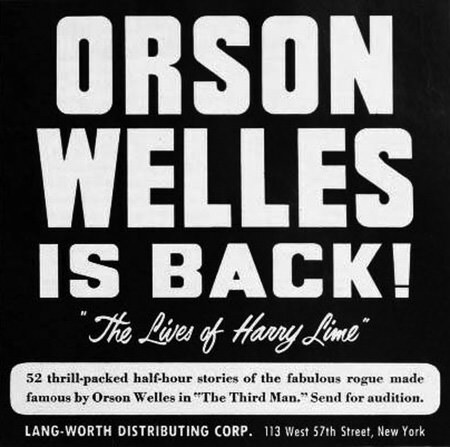 From the rave reviews that the novel and the movie received from international critics, a transcribed radio spin-off began starring the very popular character, Harry Lime. The show followed Lime's adventures throughout the World which constituted him engaging in continent hopping, skirt chasing, pick pocketing, breaking and entering, and playing patsy, but he drew the line on blackmail and murder. Go figure, a thief with a conscience! For more espionage and adventure see: The Silent Men, Spy Catcher, I was a Communist for the FBI, Cloak and Dagger, Top Secret, Counterspy - David Harding!, Dangerous Assignment, The Adventures of Frank Race, Secret Agent K7 Returns, The Man Called X and Hardboiled Detectives Collection. 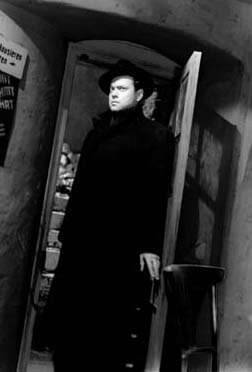 Be the first to comment on "Harry Lime (The Third Man)"